Prospective Students: I am looking for one or two highly motivated PhD students starting Fall 2019. Please see the note to prospective students page for more information. I am an assistant professor in the Bradley Electrical and Computer Engineering department at Virginia Tech. My main research interests are in the area of computer vision, computer graphics, and machine learning. I am particularly interested in exploiting physically grounded constraints to enable efficient visual learning. I received my PhD degree in the Department of Electrical and Computer Engineering at the University of Illinois, Urbana-Champaign. 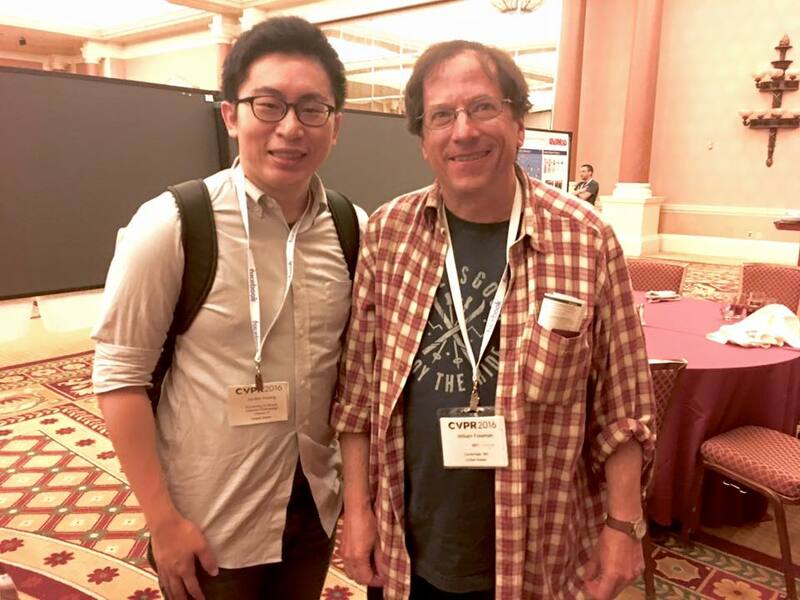 Over the summers, I am lucky to have the opportunities to work with Rich Caruana (Microsoft Research), Leonid Sigal (Disney Research), Sung Ju Hwang (Disney Research), Zhengyou Zhang (Microsoft Research), Zicheng Liu (Microsoft Research), Qin Cai (Microsoft Research), Johannes Kopf (Facebook Research), Sing Bing Kang (Microsoft Research), and Ming-Hsuan Yang (UC Merced). 04 / 2019 Thanks Microsoft for providing the AI for Earth grant. 04 / 2019 Thanks ICAT for supporting our research with the SEAD Major Initiative Program (with Bingyu Zhao and Ivica Ico Bukvic). 04 / 2019 Thanks SAMSUNG for continuing to support our research through the GRO award (with Alexander Schwing). 03 / 2019 Thanks Denso Corp for supporting our research. 03 / 2019 Thanks Google for the $5,000 research credits on the Google Cloud Platform. 02 / 2019 Thanks Google for supporting our research with the Google Faculty Research Award. 12 / 2018 Congratulations to Esther Robb for receiving the Bradley Scholarship from the ECE department. 11 / 2018 In 2019, I am serving as an Area Chair for CVPR, ICCV, and BMVC and as a reviewer for ICML, NeurlPS, and SIGGRAPH. 10 / 2018 Thanks Google for the $5,000 research credits on the Google Cloud Platform. 10 / 2018 Thanks NVIDIA for donating a Titan Xp GPU to our lab. 10 / 2018 Thanks Adobe Research for the gift donation. 10 / 2018 Thanks NeuraIPS foundation for awarding Shih-Yang Su with a NeuraIPS 2018 travel grant. 10 / 2018 Both ECE and CS department at Virginia Tech are hiring faculty in perception/learning/AI. Apply here and here. 08 / 2018 Our work on multi-view wire art has been accepted to SIGGRAPH Asia 2018. 06 / 2018 Five papers accepted to ECCV 2018. Check them out here, here, here, here, and here. 06 / 2018 One paper on human-object interaction detection accepted to BMVC 2018. 04 / 2018 Welcome Chen Gao, Badour AlBahar, and Shih-Yang Su to join our lab as PhD students starting Fall 2018. 04 / 2018 Thanks National Science Foundation for supporting our research with an CRII award. 02 / 2018 Congratulations to group alumni: Yen-Chen Lin (joining MIT), Zelun Luo (joining Stanford), and Wei-Yu Chen (joining CMU). 10 / 2017 Thanks NVIDIA for donating a Titan Xp GPU to our lab. 10 / 2018 Thanks NIPS foundation for awarding Yuliang Zou with a NIPS 2017 travel grant. 09 / 2017 Two papers on MaskRNN and Semi-supervised learning of optical flow accepted to NIPS 2017. 08 / 2017 Thanks PFP Cybersecurity for a gift donation. 08 / 2017 Alexander Schwing and I received a SAMSUNG Global Research Outreach (GRO) award. 07 / 2017 I served as an area chair for WACV 2018. 07 / 2017 One paper on Self-supervised learning accepted to ICCV 2017. 07 / 2017 Thanks the anonymous CVPR area chairs for supporting my outstanding reviewer award from CVPR 2017. 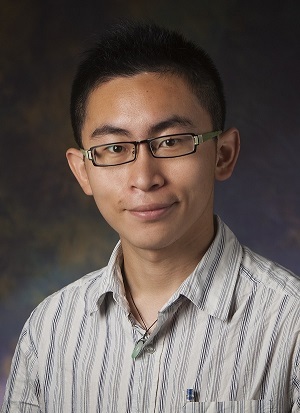 04 / 2017 Welcome Yuliang Zou to join our lab as a PhD student starting Fall 2017. 04 / 2017 Samuel Blanchard and Chris Williams and I received a grant ICAT SEAD Major Initiative Program. 03 / 2017 Thanks Office of the Provost at Virginia Tech for the faculty mentoring grant. 02 / 2017 Congratulations to group alumni: JunYoung Gwak (joining Stanford). 02 / 2017 One paper on Image super-resolution accepted to CVPR 2017. 10 / 2016 Thanks NVIDIA for donating a Titan X GPU to our lab. 07 / 2016 One paper on video completion accepted to SIGGRAPH Asia 2016.